JNN 21 MaY 2014 MIRANSHAH: Pakistani Jet planes bombed hideouts of Terrorists in North Waziristan early on Wednesday, killing 60 Terrorist , which were Mostly suspected Suicide Bombers and Commanders of the Terrorist Groups and injuring 30 others, Pakistani Media reported. Disagreement over how to handle the Taliban insurgency has soured relations between Prime Minister Nawaz Sharif and Pakistan’s powerful army, which has been pushing for a major military offensive against terrorists . Sharif has been trying to Buy out time for the Taliban in the Name of Negotiations in Order to Lure his Saudi sponsors , but negotiations have failed repeatedly since he came to power a year ago. It was unclear whether Sharif had authorized the latest air strikes overnight. “Confirmed Terrorist hideouts were targeted early morning today in North Waziristan through precise aerial strikes,” a senior security official told AFP. He added, “there are reports of 60 militants killed in strikes including some important commanders”. The official however did not disclose names of the commanders killed in the strikes. “There were confirmed reports that terrorists involved in recent attacks including a blast at an internally displaced persons (IDP) camp in Peshawar, bomb attacks in Mohmand and Bajaur tribal regions … and attacks on security forces convoys in NWA (North Waziristan), were hiding in these hideouts”, the official added. “Before the launch of the air strikes, we had confirmed intelligence information about hideouts of the Terrorists and their top commanders,” a senior military official in Miranshah told Reuters. An intelligence official in North Waziristan said the strikes were carried out in Miranshah, the main town of North Waziristan, Mir Ali, Datta Khel and Ghulam Ali areas. North Waziristan residents said dozens of houses used as hideouts by the Terrorist had been targeted. It was not immediately clear if any civilians were killed. “It was around 3 a.m. in the morning when I heard huge explosions,” tribesman Naseeb Gul told Reuters by telephone. “I saw four helicopters flying over the area and hitting some villages,” he said. There were No reports of any civilian casualties but it could not be verified by Independent Sources . Independent verification of the toll and identity of the dead was not possible as journalists are not allowed to enter the area. A curfew was imposed in the area for an indefinite period, military sources said. The sources further added that several hideouts of militants were also destroyed during the air strike. Despite Sharif’s insistence on talks, the military has carried out a series of brief air raids in the region. It was unclear if the latest air strikes signaled the start of a broader military campaign against the Taliban. As even after the Previous Such Bombing Saudi Monarchy send a Bribe / Grant of US$1.5Billion to Pakistan , in an attempt to Buy out the decision of Bombing and eliminating their sponsored Taliban , which have been creating a Havoc , through terrorism and Sectarianism in the country. 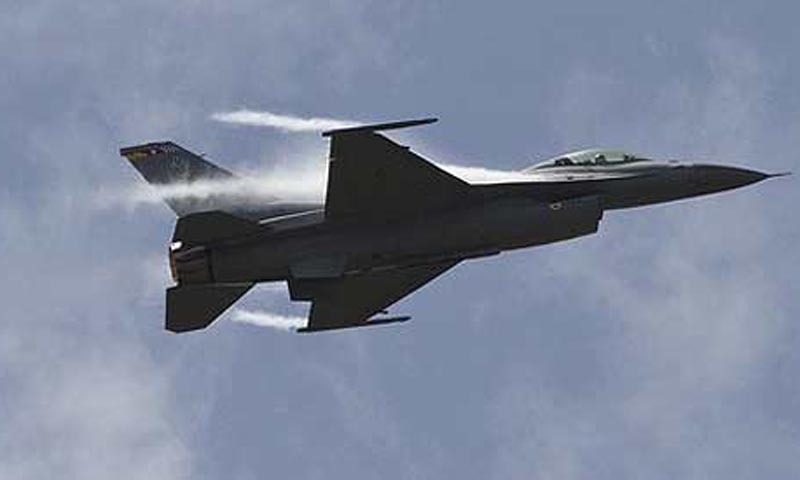 On April 24, jet fighters had bombed suspected militant hideouts in Bara tehsil and Jamrud areas of Khyber Agency, killing at least 35 suspected militants and injuring 14 others. The operation was the first time the military is known to have used air strikes against terrorist hideouts , and in the first reaction to that , the TTP announced an Unconditional Ceasefire on March 1 . On February 27, gunship helicopters had carried out shelling in tehsil Kulachi, FR Dera Ismail Khan in which three suspected militants were killed. This was the first time that the Pakistan military had conducted shelling in the settled area of Khyber-Pakhtunkhwa. At least 30 militants perished as warplanes pound their hideouts on February 25 in the South and North Waziristan, according to military officials. The airstrikes mainly took place in Datta Khel and Shawal areas of North Waziristan where militant training facilities and compounds are said to be located. On February 23, airstrikes were carried out in the remote Tirah Valley of Khyber Agency in which security forces killing at least 38 militants, including key commanders. Six hideouts were also destroyed, they had added. Just a day earlier, on February 22, security forces had carried out shelling on militant hideouts in Thall sub-district of Hangu, killing at least nine insurgents. April 24th Bombing was the Game Changer , While the Supporters of TTP the Fanatic Religious Mullahs of Pakistan who claim that even the Joint International forces of all the western and US , could not defeat Their Nurtured Taliban , but Just a Single day Bombing of the Bravest Army of the World , which has all the details of their Known Hideout Make them Melt like ICE on a Hot Plate , and they came on their Knees to get ready for Negotiation . As Now the Pakistani Nation Stands United Behind Their Brave Warriors of Pakistan Armed Forces , who don’t only have the Courage to challenge and Put these Meagre Taliban Under their Boots , But Now it looks that the Brave Leader of the Pakistani Armed Forces Warriors , who himself is the Brother and Nephew of Martyr is Not ready to get into any conspiracy , Or to make any fortune for his Young Ones , as he Is True Believer of the Life Here After , and would definitely Like to Join his Beloved Family Members in the Gardens of Paradise. This entry was posted in Asia Pacific, Jafria, Pakistan News and tagged Air Strikes, Datta Khel, February 25 in the South and North Waziristan, ghulam ali, HideOuts, intelligence, military official, Miran Shah, North Waziristan, pakistan, prime minister nawaz sharif, security forces, taliban, Taliban Terrorist, the Game Changer, the Taliban. Bookmark the permalink.